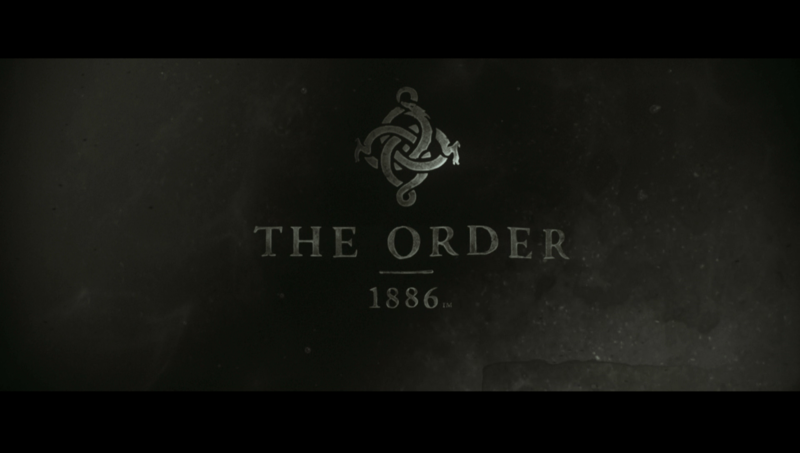 The Order 1886: For King and Country. Few games have been talked about as much as The Order 1886 has been recently and fewer still with as much derision. For some this game seems to embody everything that’s wrong with AAA development, focusing on all the wrong areas and failing to deliver the game experience that they were expecting. Others saw the potential the title had and, whilst still not heaping praise on the overall experience, had high hopes for what Ready at Dawn could do with this IP. After avoiding much of this discussion before playing The Order 1886 I’ve since dived head first into all the discussion and, frankly, don’t disagree with the more nuanced arguments out there. Still this game has its merits and trashing everything about it, like many seem keen to do, doesn’t seem fair. You are Sir Galahad, member of the Order of the Knights of the Round Table and devout servant to your country. You are sworn to fight the half-breed blight who seeks to destroy humanity and do so with the aid of the Holy Grail which heals all wounds and greatly extends your life. Thus the order has existed for numerous centuries with many of the knights living for just as long and those who fall in battle passing on their name and title to those who follow them. However not everything is as it first seems as turmoil within London sparks an unusual reaction from your leader, prompting you to investigate further. If there’s one game out there that should serve as the current reference point for graphics on the PlayStation4 it has to be The Order 1886. The world is lavishly detailed in every aspect, from the environments to the weapons to the character models which have some of the best animations I’ve seen to date. The seamless transitions between cut scenes and game play sections is, I’ll admit, jarring at first but after a while they beautifully melt sections together. Best of all this is done without a hint of performance degradation even in the most action heavy scenes, something which most graphical envelope pushing games fail to achieve consistently. Suffice to say that The Order 1886 is PlayStation4’s Crysis and the effort that Ready at Dawn invested in their RAD 4 engine was not wasted. 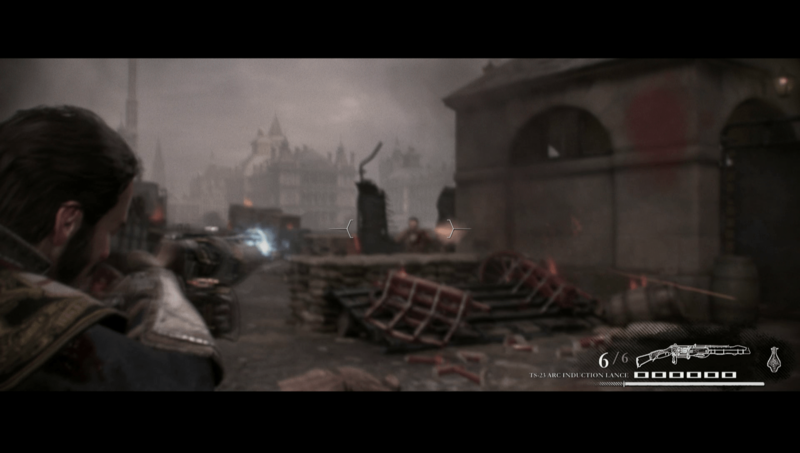 The Order 1886 tiptoes between the cinematic story and 3rd person corridor shooter genres. 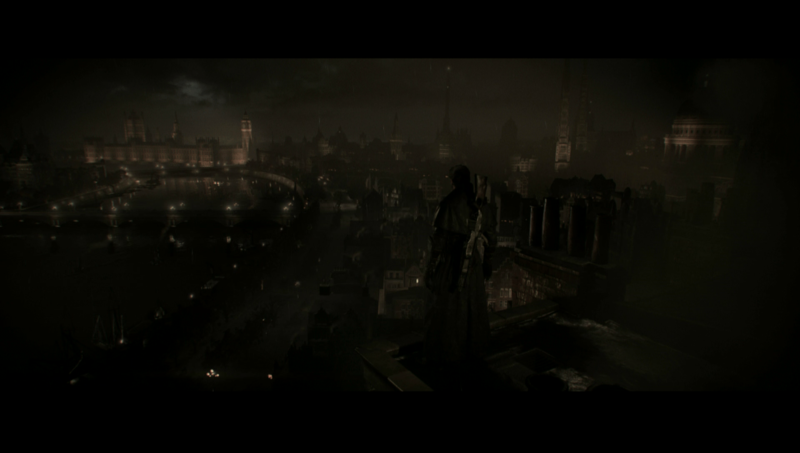 The bulk of the game is spent either in cut-scene or wandering around an environment which is then inter-dispersed with sections of cover-based shooting. There are numerous mini-games as well like the unique lock-picking and the transformer overload puzzle. 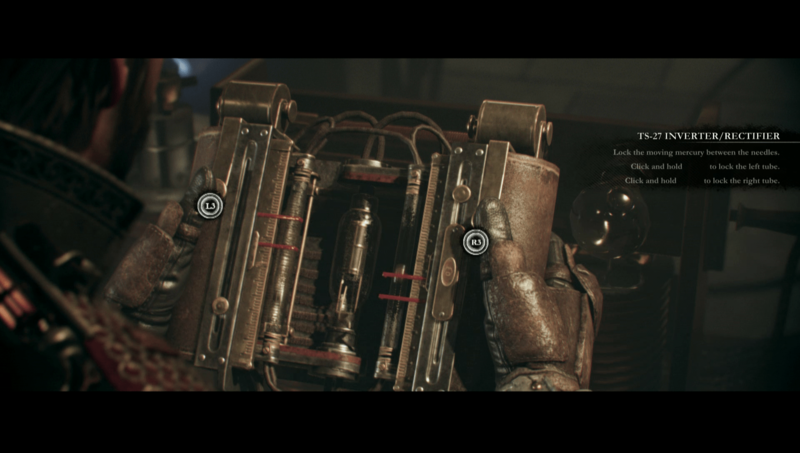 There are a few sections which require you to solve a puzzle in order to progress to the next section but not enough that I could say that The Order 1886 is much of a puzzler. 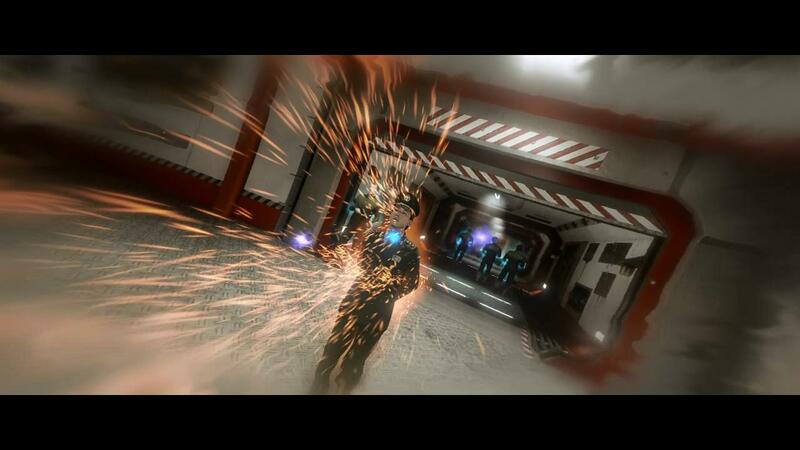 Lastly the fabled quick time event makes numerous appearances throughout the game, sometimes blended into the 3rd person shooting sections and later as the main boss fight mechanic. If this is sounding like a jumble of mechanics without a coherent thread to tie them all together then you’re right, it is and this is why I don’t disagree with the bulk of the criticism levelled at The Order 1886. Whilst I’m not a huge console FPS/3rd person shooter player I have played an unhealthy amount of Destiny and so I have a feel for when janky mechanics are blame rather than my lack of skill with a controller. With that in mind the combat of The Order 1886 feels decidedly half-baked as I would often line up clear head shots only to have them inexplicably miss. This is somewhat made up for by the inclusion of a bullet-time shooting mechanic but it doesn’t help when the ability is on cooldown and all your bullets seem to miss. The more innovative weapons, like the lightning gun and the thermite rifle, are a blast to use and feel far more effective than any of the other very generic weapons but they’re unfortunately highly limited. With the lack of variety of enemies this means that most encounters are largely the same, just in different locations. Had I not invested so many hours in Destiny I might’ve written this off as just me being derpy with the controller but, unfortunately for Ready at Dawn, I feel that most of the problems stem from the decidedly below average combat mechanics. I did enjoy the mini-games which were thankfully used sparingly throughout the game, rather than being peppered everywhere like some games tend to do. They don’t take a lot of skill honestly and once you’ve done them once it’s pretty easy to finish them without even thinking about it. Unfortunately even the best of mini-games can’t make up for the faults that the larger game has as whilst they’re fun distractions that’s all they amount to, nothing more. Perhaps some of the time dedicated to these small parts of the game could have been better spent addressing some of the more pressing issues that the game faces like the lack of coherency around what it was trying to achieve. 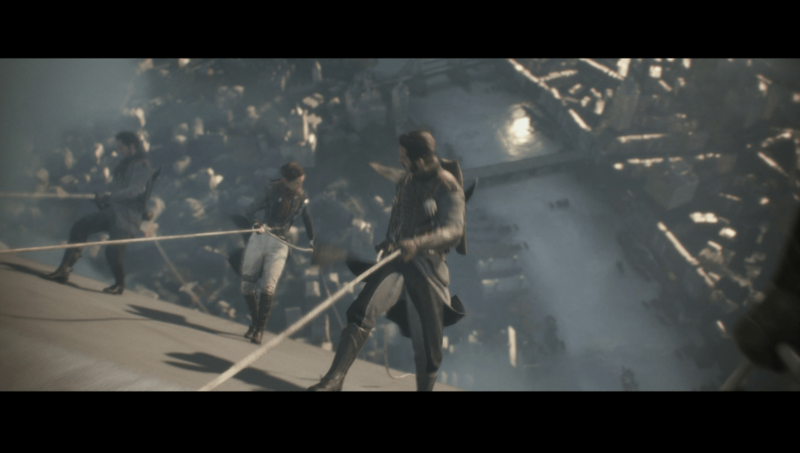 It’s obvious that the primary goal of The Order 1886 was to make it a kind of cinematic experience, one where there’s a little less focus on game mechanics and a little more on the story and cinematography. The problem I see with this, at least in The Order 1886’s case, is that typically such cinematic games focus on player agency (or at least the illusion there of) something which it doesn’t lack. That means that it’s more apt to compare it to all the corridor shooters which, unfortunately, it can’t hold a candle to as the various combat mechanics are incredibly weak when compared to say Call of Duty titles. So The Order 1886 straddles the boundaries of these two genres, doing neither of them well and unfortunately falling in a screaming heap. Which is a right shame because there’s a ton of potential in all the jumbled pieces that make up The Order 1886. Each of the individual pieces feel like they’d be right at home in an open world game and there’s numerous other aspects that would translate directly without too much effort. I understand that this is a non-trivial exercise however it’s clear where most of the effort was spent and it wasn’t in making sure the game was a cohesive experience. What The Order 1886 shows us is that you can’t just have a bunch of great elements all thrown together in a pile and expect the resulting game to be great, careful attention needs to be applied in the integration so the sum of the parts exceeds the whole. The Order 1886’s story, whilst it has strong roots, fails to develop and is utterly predictable which means it doesn’t make up for the range of mistakes that the large game makes. The story follows the well trodden trope of a righteous soldier finding out he’s on the wrong side of the fight which isn’t bad on its own however The Order 1886’s telling of it is just so predictable. I called out nearly every single one of the twists long before it occurred, something which I’m not particularly good at usually. It got to the point where I was browsing Reddit most of the time cut scenes were happening since I didn’t feel the need to hear every bit of dialogue to understand the story. Again, like most of the game, there are elements in here that have tons of potential, like the setting and back stories, but they’re just not developed or cohesive enough to formulate into a solid game experience. The Order 1886 is a victim of its own ambition, seeking to create a truly cinematic experience but ultimately falls short, failing to even deliver a coherent experience. Without a doubt its crowning achievement is its graphics, something that Ready at Dawn should be proud of, however everything built on top of that fails to achieve the same level of excellence. The combat is repetitive and clumsy, the story predictable and uninteresting and the various other bits and pieces just don’t seem to fit well into the game’s larger picture. It’s a right shame as the different parts wouldn’t be amiss in a more coherent title it’s just that The Order 1886 lacks that one thing to bind everything together. It’s worth at least spending some time with The Order 1886 just to see what the PlayStation 4 platform is capable of, maybe later when you can grab it on special. The Order 1886 is available on PlayStation 4 exclusively right now for $78. Total play time was approximately 6.5 hours. 4PM: It’s Always You, Caroline. Whilst games have matured a lot as a medium in the last decade or so they’re still finding their feet when it comes to telling stories that deal with mature themes. Sure there are many great examples I can point to however the notion of interactivity drastically changes how certain aspects of story impact upon the player making it a lot harder to craft an experience in a certain way, especially if you want to include some form of player agency. The medium itself can even distract from your story with everything from glitches to bad animations or models breaking player immersion and ruining their experience. Unfortunately for 4PM, a story driven cinematic experience, this is exactly what has happened and any impact the story might have had is lost in the extremely sub-par execution. You wake up in your apartment, head throbbing as the last tendrils of alcohol work their way unceremoniously out of your system. For Caroline it’s just another boring day in her life, one where she’ll repeat the same process of making a show at work before punishing her liver again after she clocks out. Unknown to her however this is the day when everything will break and she will be forced to make some tough choices in order to face what she’s been running away from for many years. Will you face these problems head on? Or will you continue the downward spiral into alcoholism, hoping your troubles will fade away. 4PM heavily touts its cinematic aspects in the marketing blurbs on Steam and from an aesthetic point it delivers on this somewhat. 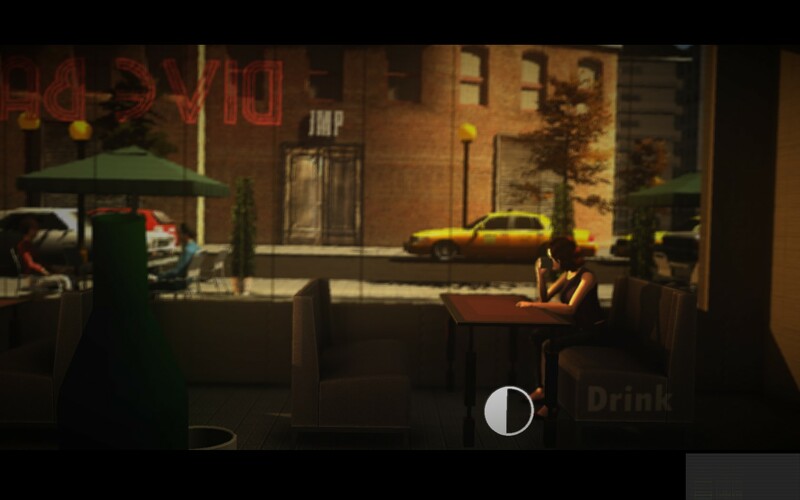 This is mostly achieved through the overuse of depth of field blurring which does a relatively effective job of hiding the decidedly below par visuals that make up the majority of the game. 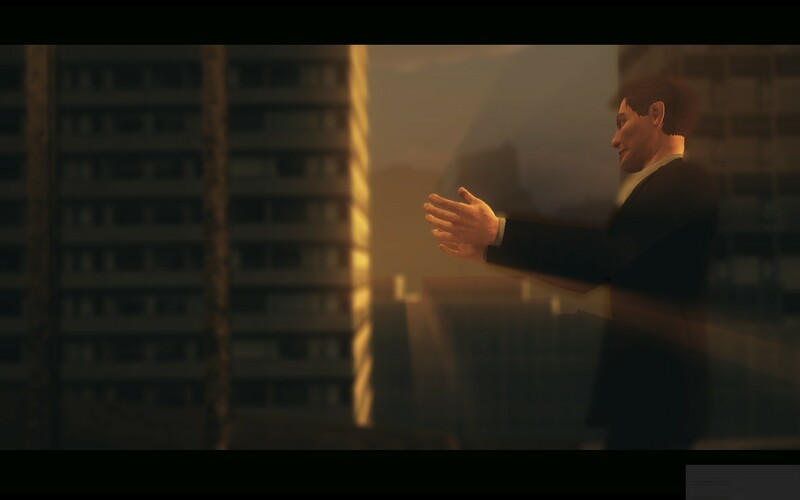 Most of the cut scenes do well with their camera work with some well framed shots and swooping cuts however anything done in the player perspective feels incredibly awkward. I’m hoping this was done deliberately to emulate the main character’s struggle with alcohol but even in scenes where they’re sober walking feels like you’re pushing a bag full of snakes with a broom. It’s all wiggly and not quite right. The creator has billed 4PM as an interactive experience that’s “without the complexities and reflex based natures of classic games”. That almost places it in the same category as the walking simulators of new however 4PM doesn’t want you to explore, rather it wants you to go through the motions of the story whilst engaging in some routine game mechanics every so often. There’s a few places where you’re given a choice between two options however there’s really only 2 outcomes and the differences in dialogue are, to be blunt, minimal at best. The one thing 4PM has going for it is its extremely short playtime, clocking in at 45 minutes if you decide to play through all the alternate options. Often in games you’ll find things in them that speak to the developer’s learning process, things that are in there because the developer created them as a proof of concept for something and it then made its way into the final product. 4PM feels like a collection of these things, a collection of developer experiences mashed together. Some of these are obvious, like the breakout game on the PC in the main character’s office, to other things like being able to rotate objects in front of the character’s face. This distinct lack of polish might be charming to some however it just gave me flashbacks to Velvet Sundown, not a game I think anyone wants to be compared to. All of this is made worse when you actually get to see characters without the copious amounts of motion blur as they are, to be frank, horrendous. Your boss looks like a store mannequin brought to life, something which is only exacerbated by the jerky, stilted animations. It gets even worse when you’re talking to John in the penultimate scene as the canned animations he goes through seem to be highly incongruent to the words he is speaking. For a game that took up 3GB worth of space on my hard drive I was expecting a lot more but, unfortunately, it seems that’s just what happens when a game isn’t optimized at all. I can see the potential in the story and indeed the final climatic scene almost managed to drag me in past all the crap the game had thrown at me to that point. 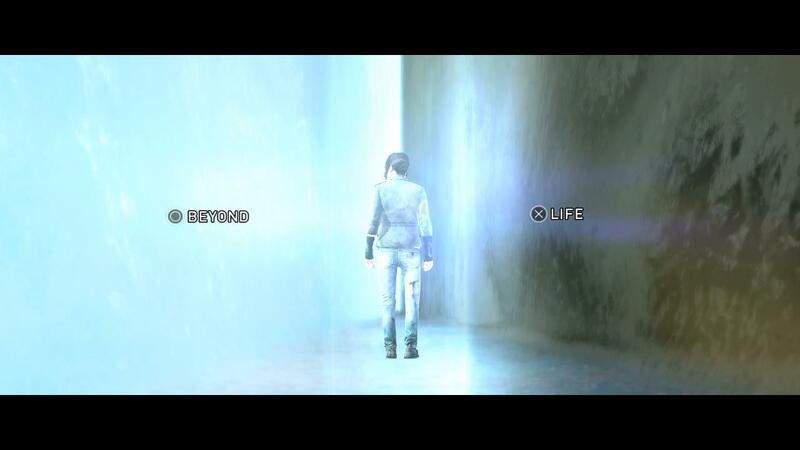 However the way the final scene plays out is so highly confusing (both in player terms and that of the main character) that much of the impact is lost. Sure there are some hints as to what had happened if you hunt around in the opening scenes, but all you’re able to glean from that is that you’re a drunk and you’ve met this guy once before. It definitely feels like the length of the game is to blame for much of this as the story simply didn’t have the time it needed to develop to the point where the final reveal would have the kind of lasting impact it needed to overcome all of 4PM’s shortcomings. 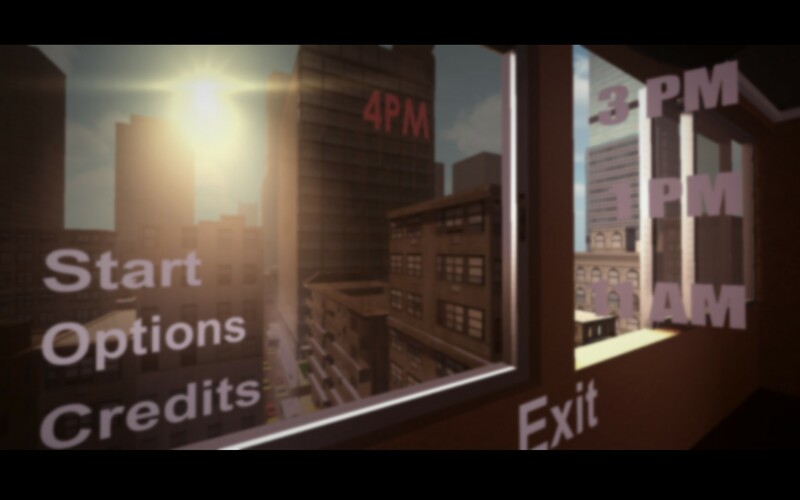 4PM is a game that reaches far beyond its grasp, attempting to build an evocative story driven game but simply fails to deliver. It’s easy to see what the sole developer was attempting to achieve with this however there really isn’t any aspect I can point to which I could consider average. 4PM feels like a game that, given some more time and resources, could have been a real gem. Unfortunately the finished product is far from it and isn’t something I recommend to anyone. 4PM is available right now on PC for $4.99. Tota play time was 45 minutes. 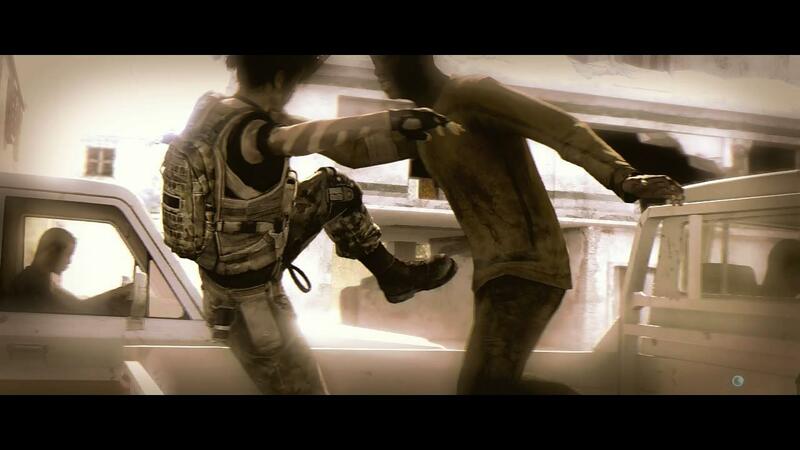 The Walking Dead: I’m Sorry Clementine. Much to the chagrin of many of my friends I haven’t really got into the whole Walking Dead craze that seemed to sweep the Internet over the past couple years, mostly because my wife went ahead and started watching them without me. Couple that with the fact that I’m a terrible reader (I only seem to find time for it on long haul flights) I have also given the comics on which the whole craze is based a miss. I tell you this because The Walking Dead game seemed to attract just as much fandom as the IP’s other incarnations but that was most certainly not the reason I decided to play it. Instead I had heard that Telltale Games had done well with this particular franchise and since their treatment of Sam & Max was pretty decent I figured the hype was probably well earned. The Walking Dead takes place in modern day America with you playing as Lee Everett, a university professor who’s been recently convicted of killing his wife’s lover and is on his way to jail. On the way however the police car you’re in hits an unidentified person sending the car tumbling over the embankment and leaving you trapped in the car. After looking around it’s clear that something is amiss with the officer who was driving you rising from the dead and attempting to attack you. Things only seem to get worse from here on out as you struggle to survive and protect the few people you manage to team up with. Whilst I haven’t played many Telltale games (although I’ve watched someone play through most of the Sam & Max series) I still got the feeling that their titles had a distinctive style and The Walking Dead certainly fits in with that idea. Due to the extreme cross platform nature of The Walking Dead the graphics aren’t particularly great but the heavy use of comic-book stylization (I’ve seen people say its cel-shaded but I’m not entirely sure about that) means that it still works well. The animations and sound effects are somewhat rudimentary but this is made up in spades by the voice acting which I’ll touch on more later. 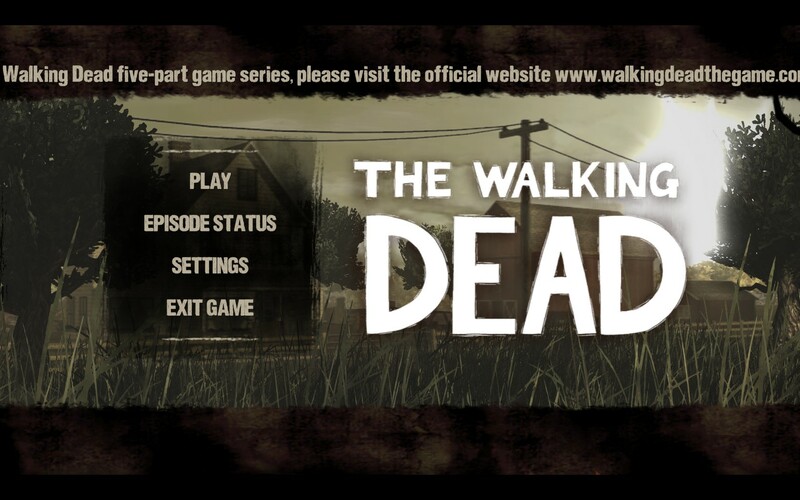 Whilst The Walking Dead is more like an interactive movie with game elements the core game mechanics are those of an adventure game coupled with a few modern innovations like quick time events to drive some of the more action oriented sections. 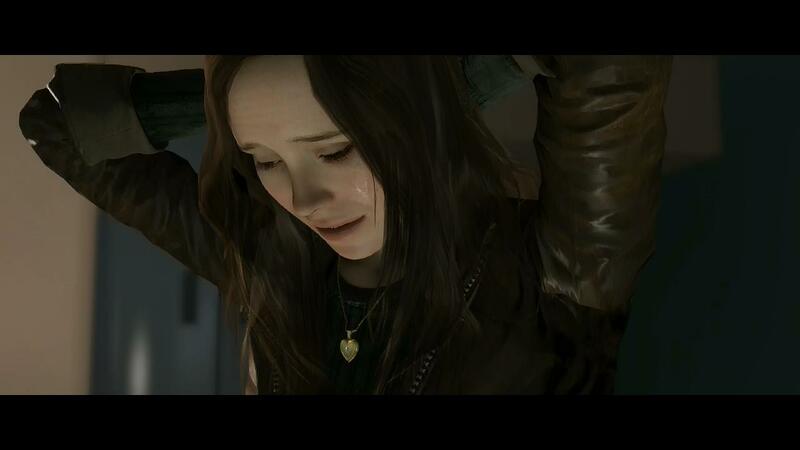 If you’ve played other titles in the same genre like Heavy Rain then this style will be very familiar to you where the game play elements are there to serve as a break from the usually quite intense story sections. Of course decisions you make during these sections can also have an impact on how the story unfolds, something which The Walking Dead informs you of at the start of every episode. Even for a modern adventure game the puzzles that are thrown at you are rather simplistic usually consisting of you tracking down a particular item or following the bouncing ball in order to progress to the next area. Some of the puzzles are also completely optional, as far as I could tell, as there were a couple times when I’d do things that didn’t seem to have any impact past the scene in question. 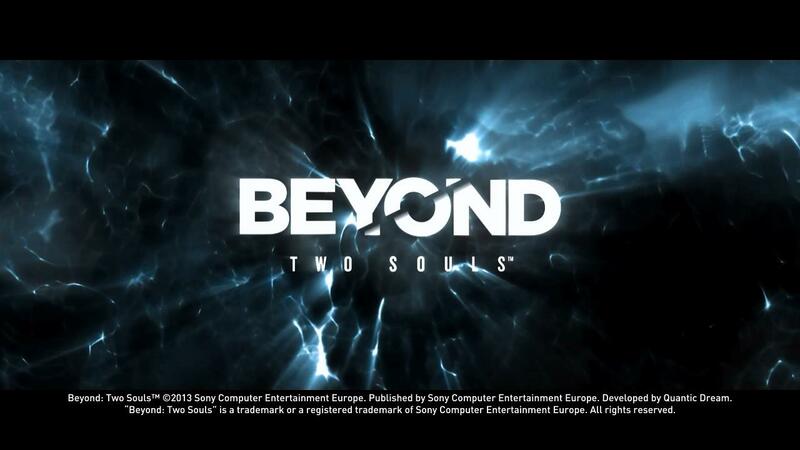 For a game that is heavily focused on the story rather than the game play I can’t really fault it for this as hard puzzles usually only serve to break immersion and frustrate the player but if you were expecting The Longest Journey level brain ticklers than you’ll be disappointed. What I was thankful for was the simplistic inventory system that shied away from having some form of combine or use one item with another item type mechanic that a lot of games like this have. Usually this just ends up in frustration as you try to find the right item combination in order to solve the problem, something that I’m not usually a fan of. Instead if you have an item that can interact with something in the world it’ll show up as an option taking a lot of the guesswork out of the equation. Sure figuring something out can be fun and The Walking Dead certainly has some satisfying challenges but playing inventory item roulette isn’t one of them. The Walking Dead is, for the most part, bug and glitch free however I had several occasions when the game broke on me in one way or another. Typically this took the form of the keyboard or mouse simply not responding during an interactive section, rendering me unable to progress any further until I reloaded. This wasn’t usually a problem but sometimes it did mean losing a bit of progress, forcing me to replay through a section. By far the worst bug was when a particular cut scene somehow managed to double itself up with all the characters saying their lines twice over the top of each other and the animations attempting to do the same. Personally I’d put this down to the multi-platform release which means that the amount of time that Telltale could spend on QAing each platform was reduced significantly. In all honesty though I thought most of these bugs would be ironed out given the time since the initial release. 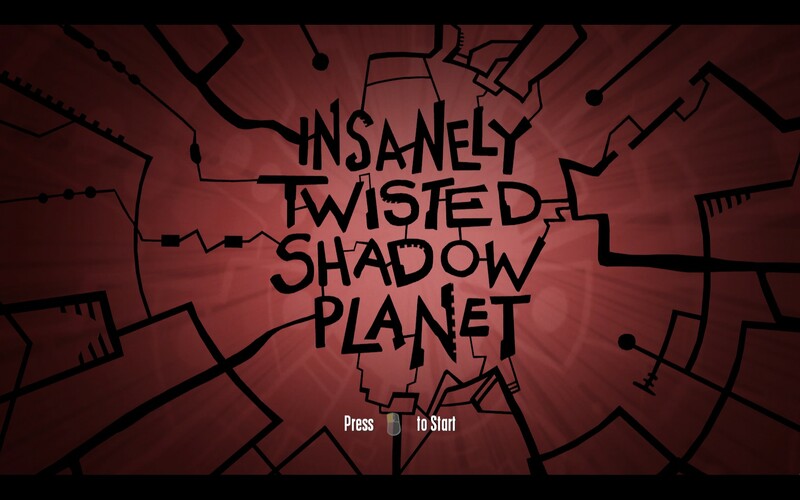 Realistically though you wouldn’t be playing this game for the game mechanics, you’ll be playing it for the story. The Walking Dead tells you in no uncertain terms that the choices you make will affect the outcome of the game and that’s 100% true. Depending on the choices you make certain characters may or may not be alive, people might react to you differently or you might end up in a situation that you didn’t expect to find yourself in. At the end of each episode you’ll also be greeted with a statistic screen which shows how your choices lined up with the greater community and the results can be rather surprising at times. What really got me initially were the small decisions that I’d make in the heat of the moment having drastic repercussions later on, sometimes right after doing so. Traditionally your choices in these kinds of games were almost irrelevant due to the complexity of creating multiple story arcs that have some level of coherency. The Walking Dead still has decisions like that at times during the game but it’s hard to know which one is which before you make it. I can’t tell you the number of times that I found myself wanting to go back and change something because the result wasn’t what I had expected but since there’s no quick save/load function (a deliberate omission) there’s really no way to do it unless you want to play the whole episode over again. Even then you might not be able to shape the story in the way you want. 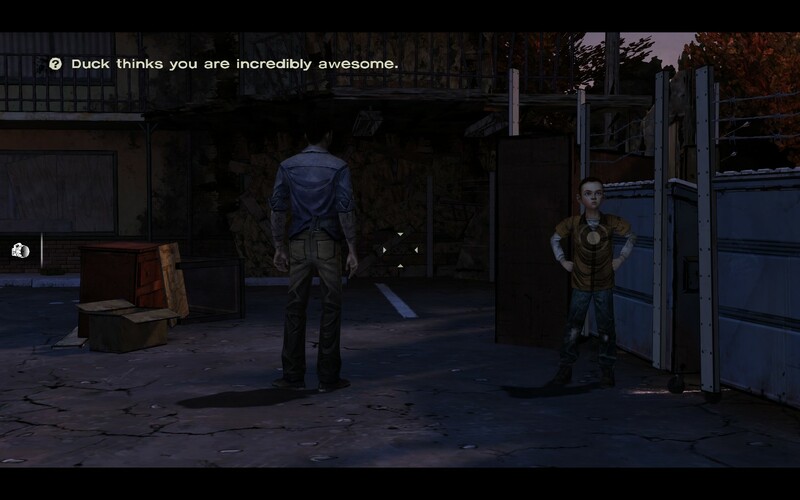 I also want to give a lot of credit to the voice acting as it’s not easy to make something fully voice acted and have it come out as well as it has in The Walking Dead. Whilst there can be some strange fluctuations in tone should you choose different types of responses (Lee usually has passive, neutral and aggressive options) the sound bites themselves are well spoken and full of emotion which is probably one of the reasons I found it so easy to sympathize with the characters. There’s been quite a few games I’ve played recently that have been ruined by sub-par voice actors so The Walking Dead was a welcome change and one that I hope more game developers take note of. The story was one of the great examples where I could hate everything that was happening but still felt a deep emotional connection to most of the characters. 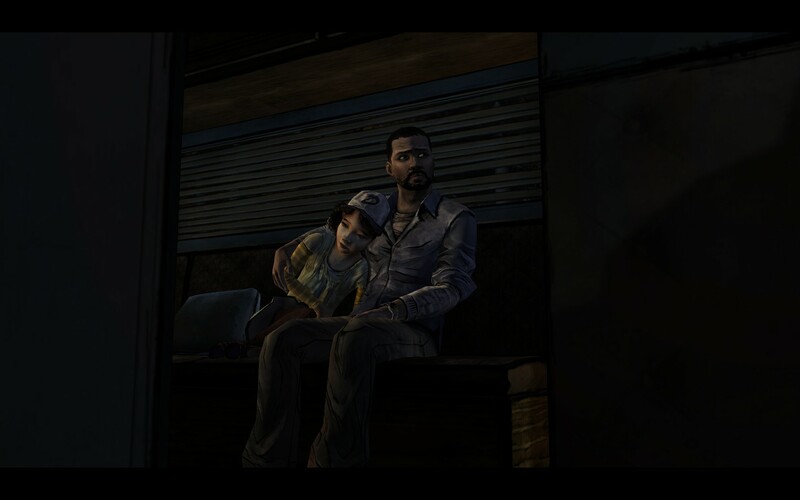 The relationship between Lee and Clem is a beautiful one and whilst I won’t spoil the ending anyone who’s been through it will tell you that it’s utterly heart breaking, to the point where I was just staring at the monitor, not wanting to accept what was happening. From what I can gather though this is what The Walking Dead franchise is all about and it does a damn good job of making you care for a lot of people before putting them through all sorts of hell, taking you along with them. 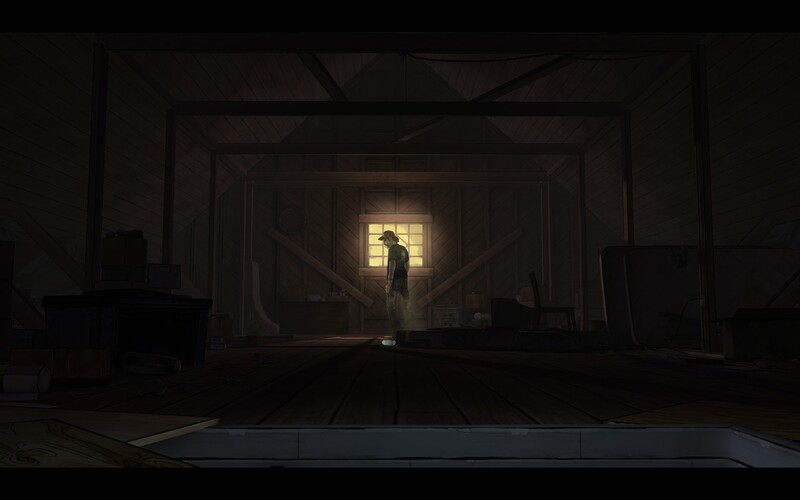 The Walking Dead is a great example of an episodic game done right as each of the sections stands well on its own but together they form something that is very much greater than the sum of its parts. The graphics are simple yet well executed, the voice acting superb and the story so engrossing that you’re likely to be thinking “what if” for a long time to come after you finish it. If you’re a fan of adventure games or The Walking Dead itself then there’s going to be a lot to love in this cinematic adventure game and I can recommend it enough. 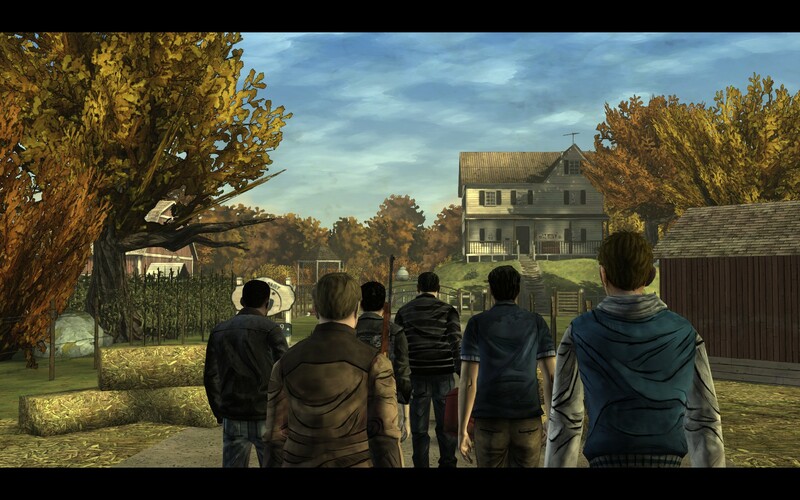 The Walking Dead is available on PC, PlayStation 3, Xbox360 and iOS right now for $24.99, $29.99, $29.99 and $14.99. Game was played on the PC with around 10 hours played and 100% of the achievements unlocked. I’m not exactly known for going against the main stream view of a game but for what its worth my opinion is (mostly) formed based on the merits of the game itself rather than the popular opinion of the time. This became painfully apparent after my Dear Esther review and despite my assurances that I was able to put game play aside for a good story (like I’ve done several times before) I feel that many people who read that review don’t believe I’m capable of identifying a good story. Then I came across Journey, yet another game that tentatively pushed at the boundaries of the “game” definition and I thought this could be my redeeming grace. Of course Journey is nothing like Dear Esther as there’s no question as to its status as a game and what a game it is. Journey opens up with you, a nameless and near faceless individual, standing in front of a vast desert. Apart from some vague imagery of what appears to be a star falling to the ground there’s not much more of an introduction. You’re then given control and shown the basics of movement using the PS3’s motion controls as well as the tried and true dual joysticks. Journey then leverages off your past game experience to drive you to the next goal (a close by hill) upon which the ultimate goal is shown, a giant mountain from which a pillar of light is emanating. You will spend the rest of the game attempting to reach that point. The art direction of Journey had me first thinking that most of it was cell shaded but it is in fact just heavily stylized. Whilst the characters and scenery are usually quite simple the environment which you play through is quite vibrant and dynamic, especially for a place like a vast desert. 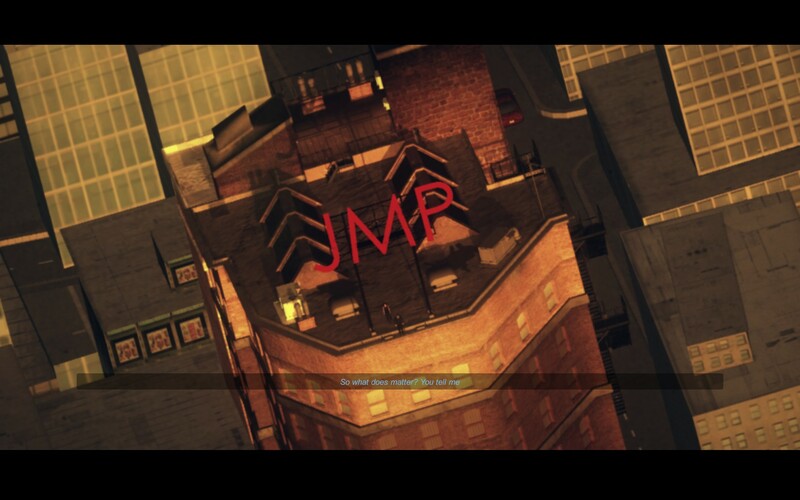 At the same time the foley and sound direction is magnificent as they compliment the visuals quite aptly. Indeed one of the best aspects of Journey is the seemingly perfect combination of visuals and sounds, timed perfectly to evoke your emotions in a certain way at specific times. Whilst the game play of Journey is undeniably there, thus firmly separating it from other experimental titles, it’s quite simplistic yet thoroughly satisfying. If I’m honest I went into this expecting Dear Esther levels of game play: I.E. nothing much more than exploration. You’ll spend a great deal of time in Journey exploring the areas but that’s far from the main game play mechanic which centres heavily around the idea that you main character can fly, albeit for a limited time. The little tassel on the back of your character is your flight timer. You can jump and then fly to great heights but as you do the symbols on your tail start to burn away. When they’re depleted you’ll fall back to the ground and you’ll have to look for places to recharge it. Thankfully these are plentiful, either taking the the form of stationary points or animated cloth animals that will follow you around, recharging you as you go. 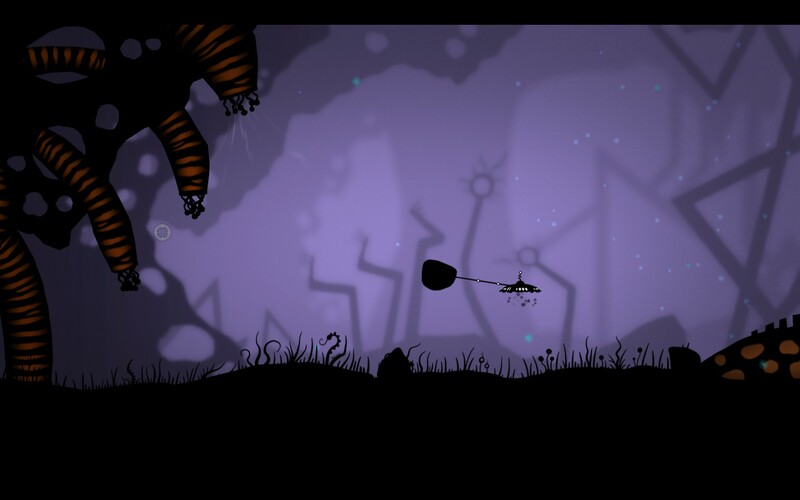 You can also increase the length of your flight time by finding glowing orbs that are scattered around the place and the end of each level will let you know how many of the potential orbs you collected before carrying on. Where Journey really starts to shine however is when other people start accompanying you on your journey. I remember my first encounter clearly: after finishing a level and proceeding to walk through a long hallway to the next I spotted movement off in the distance. I was going to back track to look for more orbs but the way the figure moved seemed… different to everything else. Excited I followed after them and when I got to them it was clear that there was another person behind that controller. Where it really got interesting though was when we tried to communicate to each other, being limited to only short bursts of sound. This meant that cooperating had to be somewhat instinctive, but you’d be surprised how much you can say with only a simple means of communication at your hands. The multiplayer aspect, whilst not an essential part of the game play, does lend itself to some awesome emergent game play. When your characters are close to each other you slowly recharge each other’s flight time and you can recover it fully with single communication ability you have. This means your flight time can be extended indefinitely if you and your partner work together allowing you to gather many of the glowing orbs thus increasing your flight time again. Towards the end I had an extremely long tassel that allowed me and my partner to reach unfathomably large heights with relative ease. This made many parts of the game much easier and also served as something of a bragging right when I was joined by someone with a shorter tassel. Journey has not a single line of dialogue, instead relying on cut scenes that tell a story through a series of brilliantly done hieroglyphics. They didn’t make a terrible amount of sense for me at the start but as you progress a grand story of a society that rose from the desert only to fall down again. The pictures start off in retrospective, highlighting things that had happened in the past that lead up to the world as it exists today. About half way through the hieroglyphs start turning prophetic, telling a story that seems to be eerily close to yours as it is happening right now. Ultimately the story that’s told without a whiff of dialogue or text is amazingly satisfying. Whilst its not a gripping emotional conclusion that I’ve felt for similar story based games in the past it’s definitely fulfilling and thankfully steered clear from any notion that there might be a Journey 2 (and however they’d follow up Journey is an exercise I’ll leave to the reader). Showing you the names of people you shared your journey with along the way is a really nice touch and I was devastated when I found out that my video capture software had crapped out halfway through and those names were lost to the ages. Realistically the only fault I can level at Journey is the price as at $20 on a game that I can’t share with my friends that only lasts 2 hours seems a tad steep. I’m sure it will eventually come down a bit in price and there’ll be something of a renaissance of people playing Journey again but until then I wonder how many are willing to take the rather steep plunge to play through it. There’s few games that have made me smile the way Journey did, both at the beginning with a child like wonder at the amazing world that was presented before me to the ultimate conclusion that was a beautiful metaphor for the grand cycle of life and death. Everything about Journey just seems to meld together so well, from the art to the music to the game play. I could go on but realistically Journey is something that you need to experience for yourself. Journey is available on PS3 exclusively right now for $20. Total play time was approximately 2 hours.